South Caroina until he moved to hospital and clinic management for various organizations for many years in different capacities. He is known as a master of creating efficiencies, but never at the expense of service. David is able to achive quality at a lower cost in Telemedicine, Medical Tourism, Call Centers, Urgent Care/Retail Operations, e-commerce and hospitals. In 2006 to 2016, he was President and Chief Operating Officer of Companion Global Healthcare which pioneered employer-focused Medical Travel benefits. He launched the business of insuring and enabling internationally outsourced medical care wherein American patients were given the option to participate in overseas medical procedures, making global medicine a reality. 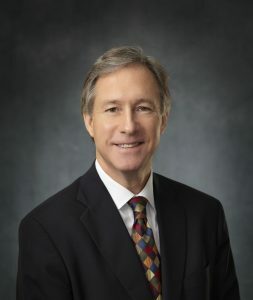 In 2012-2018, he became President and Chief Operating Officer of UCI Medical Affiliates which is a provider of non-medical management services to 55 urgent care centers, 24 physical therapy centers, and a wellness center in South Carolina. Here, David introduced telemedicine, becoming the first U.S. urgent care enterprise to embrace and implement telemedicine. David’s proficiency includes: developing affiliates worldwide, engaging employees in excellence, fixing problems and growing revenue, planning strategy and business expansion, scaling multi-site operations, and transforming processes, quality and P&L.